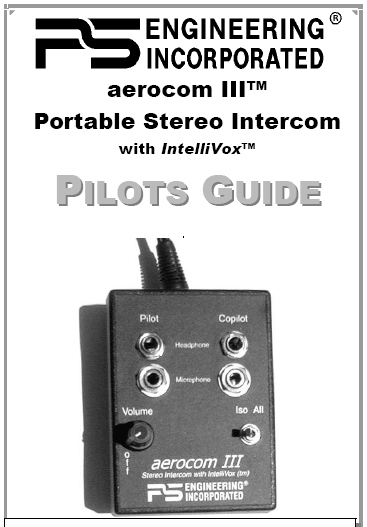 This is the official Pilot\'s Guide for the Aerocom III Portable Stereo Intercom from PS Engineering. It covers the function of each control and some of the more common procedures. Master the Entegra EXP5000 PFD with interactive scenario-based training! 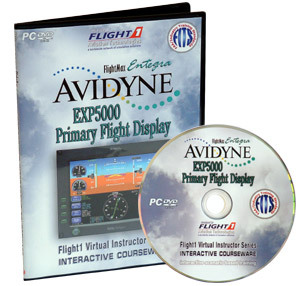 This multimedia training course from Flight 1 Aviation Technologies has been developed in co-operation with Avidyne, and has been designed to familiarize and train pilots to efficiently operate the FlightMax Entegra EXP5000 Primary Flight Display. At the conclusion of each lesson, student comprehension is measured by means of a multiple choice test. During the flight scenarios, the student demonstrates his or her grasp of the material by correctly selecting the appropriate PFD func-tion(s), and by correctly answering operational questions. In all cases, the stu-dent must achieve a minimum score of 80% before proceeding to the next section. 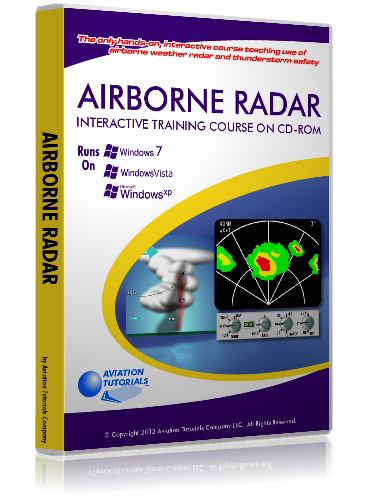 The flight scenarios represent the core of the course, and are presented in an interactive format in order to ensure the highest possible comprehension and retention. The material in this course is presented as a series of building blocks, with each lesson adding to the knowledge gained in previous lessons. It is important that the student successfully completes each lesson before moving on to the next. For this reason, later lessons as well as tests and scenarios are initially locked, and can only be accessed when earlier supporting lessons, tests and scenarios are completed. Once a lesson or scenario is unlocked, it will remain unlocked, allowing the student to return to them for review. At the conclusion of each test, the student may choose to retake the test in order to obtain a higher score. At the conclusion of each scenario, the student may choose to rerun the scenario in order to obtain a higher score, or simply to enhance his or her understanding of the operation of the EXP5000 PFD. Students are highly encouraged to run through each scenario several times to reinforce the lessons they contain. 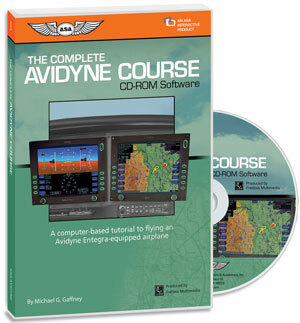 The Complete Avidyne Course helps you transition from conventional "round dials" to the Technically Advanced Aircraft (TAA) glass cockpit environment. 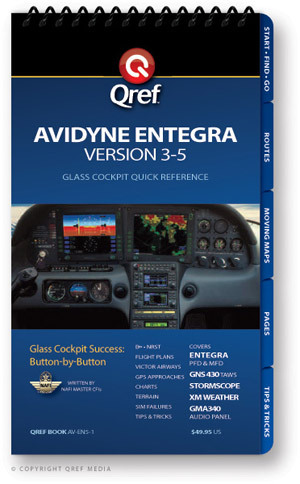 This 4-hour, narrated, computer-based tutorial provides an orientation to the Avidyne-Entegra PFD, MFD, audio panel, GNS430, autopilot, and transponder — from the safety and privacy of your home or office computer. 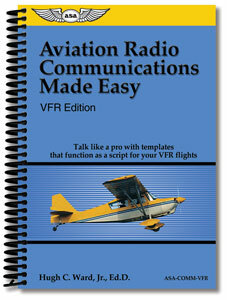 Written by Mike Gaffney, Factory-Authorized Flight Instructor (Cessna, Diamond, Cirrus and Quest Kodiak), Avidyne Flight Test Pilot, and FAA 2007 National Flight Instructor of the Year, this program is an orientation to the screens, knobs, and buttons that helps you understand how to properly operate the system, interpret malfunctions and achieve an effective scan. 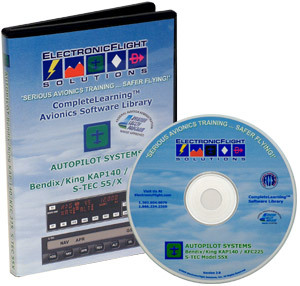 Computer-based Autopilot Trainer The ElectronicFlight Autopilot module covers the operation of the Bendix/King KAP 140, KFC 225 and S-TEC 55/55X/550 (including the ST-360 Altitude Selector/Alerter). 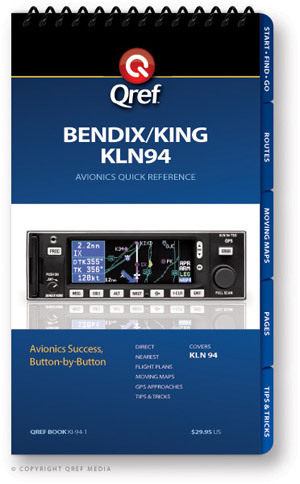 The theory, function, operation and procedures also encompass the Bendix/King KFC-150/200/250 autopilots as well as the entire line of S-TEC General Aviation autopilots. 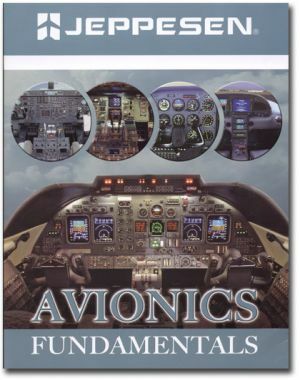 The module addresses a total void in autopilot education and details the general theory of autopilot systems available for general aviation aircraft. The training explains the methods employed for sensing, computing and driving the aircraft. Basic stability and feedback systems are explained as well as the various systems driving the autopilot. Navigation and trim system operation are explained in detail with the use of moving graphics and concept demonstrations. Instill conceptual knowledge, instead of rote memorization Implant mental models (a picture imprinted into permanent memory) Present the conceptual organization of a system Provide requisite knowledge using highly graphical methods Reinforce knowledge with targeted practice exercises Implement feedback and remedial review when checked for retention For additional information, click on the following link. End all that confusion over trying to remember those complicated procedures! 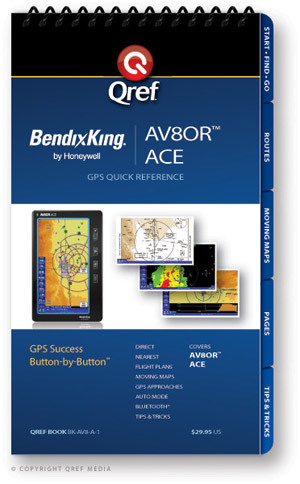 This checklist is your in-flight reference for using the sophisticated Bendix/King AV80R ACE. It contains easy-to-understand, button-by-button instructions for all the major features and procedures. It’s beneficial during initial familiarization training and it continues to be a valuable reference during continued operation. This checklist continues in the Qref tradition, providing multi-page procedures divided into tabbed sections for ease of use. Information is detailed and concise, covering everything from basic operations to tips & tricks. 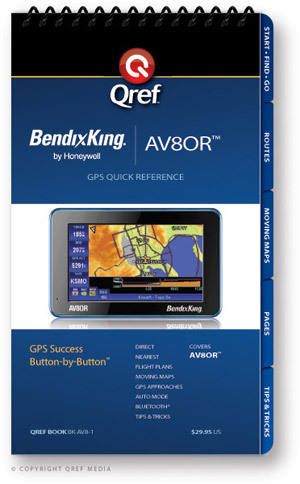 This checklist is your in-flight reference for using the sophisticated Bendix/King AV80R. It contains easy-to-understand, button-by-button instructions for all the major features and procedures. It’s beneficial during initial familiarization training and it continues to be a valuable reference during continued operation. 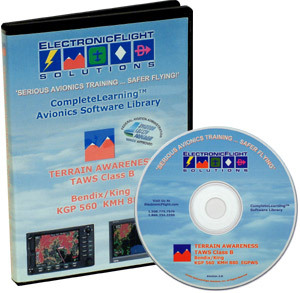 Computer-based TAWS (EGPWS) Trainer The CD-ROM based training program from ElectronicFlight Solutions details the overall operation of TAWS before progressing into the specifics of the Bendix/King EGPWS (KGP 560, KGP 860, KMH 880, KMH 980). The self-guided training then highlights the operation of the TAWS on the Avidyne FlightMax and Honeywell IHAS display systems. 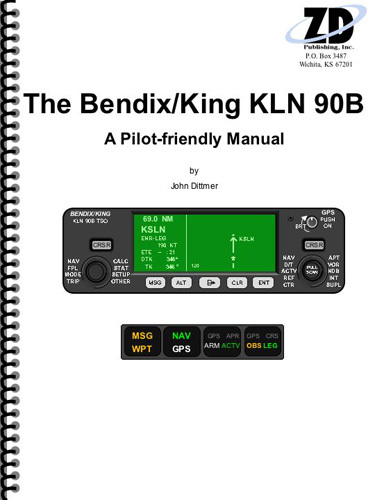 This Pilot-friendly Bendix/King KLN 90B manual from ZD Publishing, Inc. concentrates on a task-oriented format to cover all GPS operations. The Table of Contents lists all operations. Find the operation that interestes you, go to the appropriate page and view the step-by-step instructions from beginning to end. 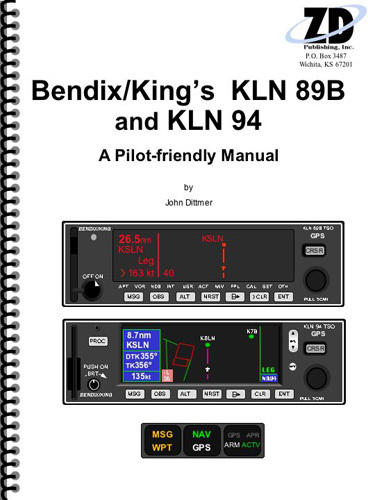 This checklist is your in-flight reference for using the sophisticated Bendix/King KLN-89 and 89B. It contains easy-to-understand, button-by-button instructions for all the major features and procedures. It’s beneficial during initial familiarization training and it continues to be a valuable reference during continued operation. The Qref printing system means tear-proof, waterproof, non-glare pages and years of use! Instead of using paper, or even a hard plastic laminated "card", the polymer material is completely weatherproof, tearproof, and non-glare, withstanding years of use. This checklist is your in-flight reference for using the sophisticated Bendix/King KLN-90B. It contains easy-to-understand, button-by-button instructions for all the major features and procedures. It’s beneficial during initial familiarization training and it continues to be a valuable reference during continued operation. 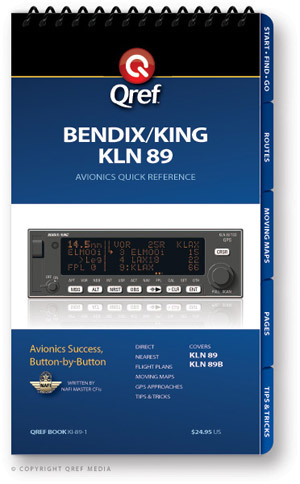 This checklist is your in-flight reference for using the sophisticated Bendix/King KLN-94. It contains easy-to-understand, button-by-button instructions for all the major features and procedures. It’s beneficial during initial familiarization training and it continues to be a valuable reference during continued operation. 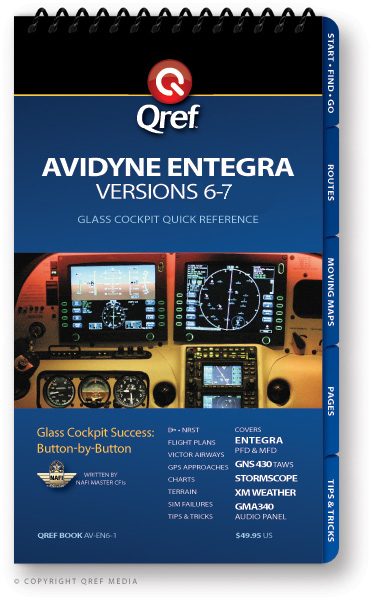 This checklist is your in-flight reference for using the Avidyne Entegra PFD and MFD systems in the Cirrus SR-20/22. It contains easy-to-understand, button-by-button instructions for all the major features and procedures of the entire Cirrus avionics suite, including the Garmin GNS-430, audio panel and transponder. The checklist is beneficial during initial familiarization training and it continues to be a valuable reference during continued operation. 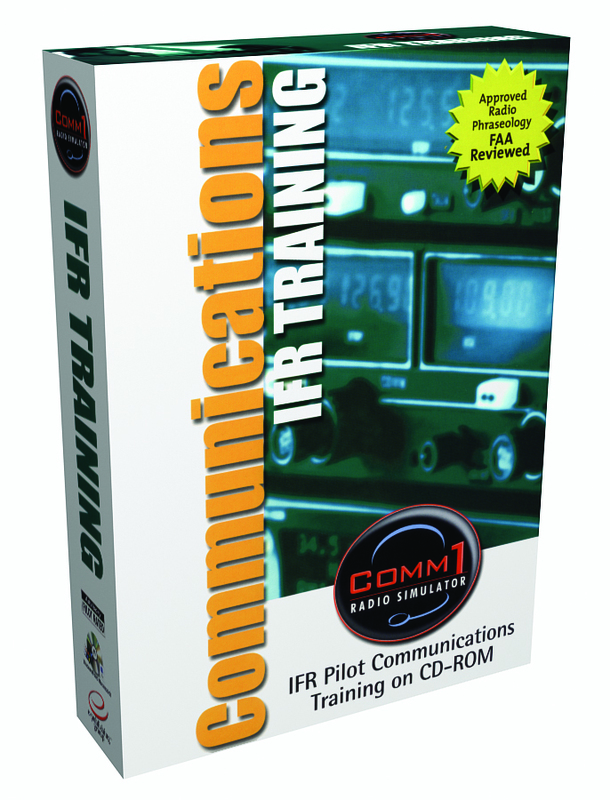 COMM1: IFR Radio Simulator . . .
Every exercise offers helpful audio feedback and examples of expert copy techniques. 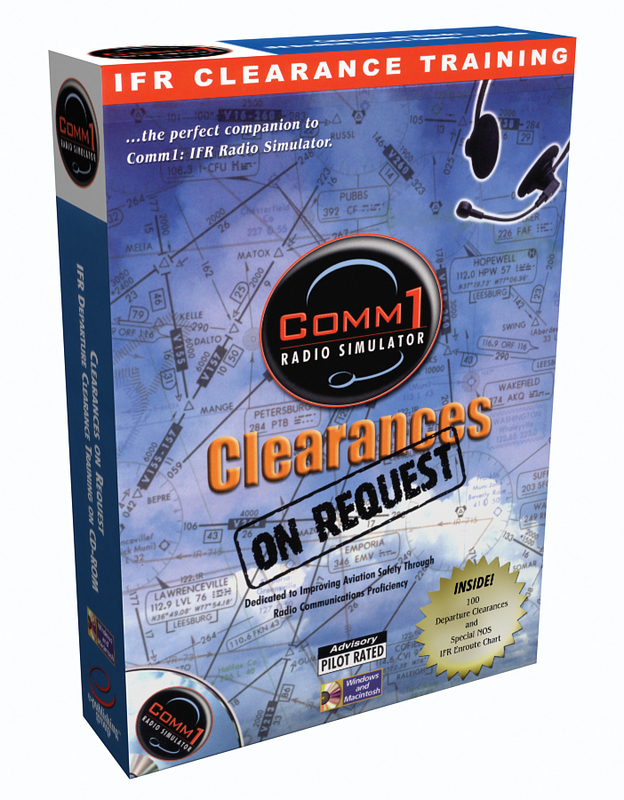 From Flight Plan to Clearance Elements of a Clearance Cockpit Organization Requesting the Clearance Copying the Clearance Reading Back the Clearance Practice, Practice, Practice The program offers a series of 100 practice clearances. You get a Flight plan for each exercise, complete with a planned routing. You review the route on the included NOS Low Altitude Enroute Chart and then call up the Clearance Delivery controller (or Flight Service specialist, or Ground Control, etc.) to request the clearance. Then you copy the clearance (using the techniques learned in the briefings) and read it back to the controller, just like in the cockpit. If you miss the clearance, the controller can be asked to "say again". At the conclusion of the exercise, you get a chance to review your performance and hear how an expert would have read the clearance back, as well as see the expert\'s notes. Trace each route of Flight using the special NOS Low Altitude Enroute Charts included with COMM1: Clearances on Request. 100 clearances to choose from; practice as often as you like, at your own pace! Experts guide you through clearances with helpful prompts and feedback.